When seeking a book about careers in music, you will find plenty of choices. Many of them seem to have titles similar to “The Artist’s Guide to Success in the Music Business” (ISBN-13: 9781608325788), but Loren Weisman’s volume emphasizes the practical things over which you can exercise some control. Get off the couch and do it! Manage your time better! Act like a decent human being! Those statements appear to be the underlying message of Loren Weisman’s well-written DIY book, “The Artist’s Guide to Success in the Music Business.” It often seems as if much of the volume was designed to help you live a better life in addition to revealing the tips necessary for navigating through the shark-filled waters of the music biz. In every field — from politics to entertainment and everywhere in between — there are scammers, liars, and fakes. A close look at the music business reveals a host of those who are being deceptive: who are going to try to use you, take advantage of you, and make what they can from you. Weisman then takes the next 54 pages to tell you about the things that can go wrong, but does include helpful guidelines and ideas for making things go right, or at least making them go better. There are lists of “do’s and don’ts” that are fun to read and it’s all written very smoothly other than the fact that the word “communication” is used about eleventy-nine times. Although if you have to over-emphasize a concept, that’s a pretty good one to select. As noted, a significant portion of the book consists of great advice that is applicable throughout life, whether you’re involved with music or not. On song construction: “Keep the foundation of the song present and well established. Reminding the listener about the foundation of the piece dates back to early classical music, where the theme was always prevalent in more ways than just the chords.” He then recommends listing to Bach’s Goldberg Variations, which is more than simply good counsel — it’s also good for your soul. On artist etiquette anywhere: Use “Simple courtesies like ‘Thank you’.” You know, just like your mom told you. There is just one problem with all this great advice: getting people to follow it. Still, the right questions are being asked here and Weisman’s recommendations are excellent. And in addition to Bach, he name-checks a lot of people. True, he mentions a lot of big-selling but essentially worthless artists, but there are also a lot of people whose work should be influential in more musicians’ lives, people such as Hal Blaine, Don Ellis, Milcho Leviev, Max Roach, Igor Stravinsky, Edgar Varese, Tony Williams, and Frank Zappa. In the longest chapter — which is on marketing and promotion — Weisman also name-checks Send2Press.com as the best disseminator of publicity. And while I believe this is a correct observation, in the interest of full disclosure it should be pointed out that the parent company of Send2Press is Neotrope, which also owns Publishers Newswire. Throughout the book, there are a great many questionable decisions to question. Like why Weisman includes a paragraph about the foolish practice of using all capital letters in emails. Of course one should avoid doing something annoying like that but anyone smart enough to be reading a book knows this already. No argument from me on any of that. Again, it is great advice, but — again — how do you get people to follow it? Especially musicians. There is a chapter devoted to some of the items and information that belong in any “well-written, well-budgeted, and well-organized music business plan,” and all of it is fine ‘n’ dandy, but Weisman is attempting to cover in 18 pages what you will find in the 200+ pages of John Stiernberg’s “Succeeding in Music: Business Chops for Performers & Songwriters.” In other words, you may need to buy two books. In a 7-page discussion devoted to artist’s biographies, a poorly-written example is contrasted with an “improved” version that is merely adequately-written; not sure how the reader is supposed to gain a great deal from that. Most puzzling of all, the odious practice of nightclubs charging artists instead of offering remuneration (the dreaded “pay-to-play” system that has virtually ruined live local music in Los Angeles and other cities) isn’t even mentioned. Weisman commits an egregious error early in the book by making an outrageously silly and incorrect observation: “Think about how you get your news. Fox has a slant and MSNBC has a slant.” Quite apart from the oddity of putting this in a book about music careers, there’s the larger point that Fox offers a non-stop onslaught of scurrilous, dangerous and traitorous lies — and that’s what causes MSNBC to spend time debunking the Fox perfidy. Weisman reveals his complete ignorance of today’s political and media communications scene by trying to force that false equivalency onto his readers. Since this foolishness occurred on page 16, I nearly stopped reading. Writers — either learn something about the state of today’s politics or please refrain from commenting because ignorance is not helping anyone. Fighting right wing nut job nonsense should be the responsibility of everyone in the media. Silly comments equating a propaganda channel and a news commentary channel give aid and comfort to enemies of the United States. Fortunately, that inanity is not repeated in the rest of the book. Of all the valuable points to be made about “The Artist’s Guide,” let me especially praise the lists of questions and considerations that appear in almost every section. These can be of immense help for anyone faced with decisions on recording better songs, finding a manager or publisher, running a band, working with a songwriting partner, and creating marketing materials. There is a nice feel to the book — in urging you to ask these questions of yourself, Weisman seems to be coming from a good place. As he writes, “I do not claim to have all the answers, but I do know you must take a hard, cold look at yourself, your music, your band, and what you are doing, while assessing those things you might need to change and those things that should remain the same.” This book will help you accomplish that. Additional information about the book (publisher’s website): http://www.greenleafbookgroup.com/publication/the-artists-guide-to-success-in-the-music-business-2nd-edition/3728 . 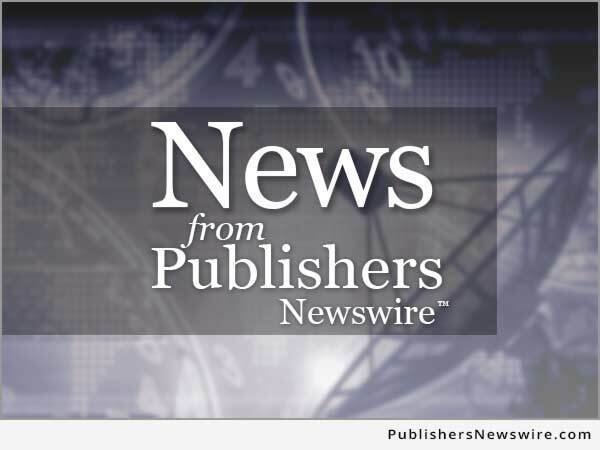 A pre-release announcement about the book’s publication was previously featured on Publishers Newswire, here: https://publishersnewswire.com/2013/05/17/PNW2562_114308.php/new-book-the-artists-guide-to-success-in-the-music-business-by-music-producer-loren-weisman/ . "The Artist's Guide to Success in the Music Business: The 'Who, What, When, Where, Why & How' of the Steps that Musicians & Bands Have to Take to Succeed in Music, 2nd Edition" by Loren Weisman, Greenleaf Book Group Press, 456 pages, $19.95, ISBN-13: 9781608325788.